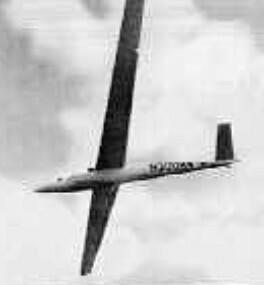 The all metal HP-14 was developed from the HP-13 which was essentially a HP-11 fuselage with the Wortmann airfoil used on the HP-12, with extended span. That wing was later mated to an improved fuselage to become the HP-14. The HP14 used lower wing loading and reduced aspect ratio in an attempt to maximize performance in weak conditions. All-metal construction rather than glassfibre was chosen because it involved considerably fewer man-hours for assembly than wood, and metal was easier and less critical to repair than glassfibre. The HP-14 features a folding V-tail and 90-degree flaps for glidepath control. 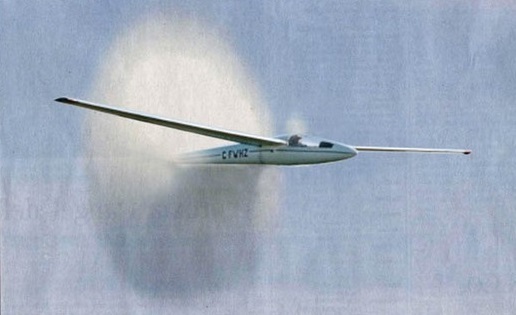 The Bryan HP-14, of aluminium construction, made its first flight in prototype form on 24 June 1966 with a 'butterfly'-type V-tail of 90° included angle, and this aircraft, flown by its designer Richard Schreder, won the 1966 US National Soaring Championships. The Bryan HP-14 has an aluminium wing structure, with plain aluminium ailerons, and no spoilers are fitted. The fuselage is an aluminium monocoque, with a steel tube frame around the cockpit, and there is a manually retractable monowheel and a fixed steerable tailwheel; the monowheel has a hydraulic shock-absorber and brake. The pilot sits in a semi-reclining position under a long Plexiglas canopy consisting of two fixed pieces and a hinged section; a 90-channel transceiver and an oxygen system can be fitted. More than 40 of all versions were built in the U.S. and by Slingsby in Great Britain. The ship has appeared with all three tail styles: the original had the Schreder V- tail, Slingsby produced the HP14C version with 18 m. wing and conventional tail, and the HP14T version used the C wing with a T-tail. The HP-14T version with a conventional T-tail first flew on 19 May 1968, and over 100 of both versions were built by Bryan Aircraft Inc and amateur constructors supplied by them with kits for the HP-14, which had all skins, ribs and bulkheads formed and welded parts welded ready for assembly. The Slingsby HP-14Cs are ATC’d. Slingsby, to remain competitive, acquired a licence to build the American Bryan HP-14 all-metal high performance single-seater, designed by R. E. Schreder, while their own first all-metal design, the T53, was on the drawing board. 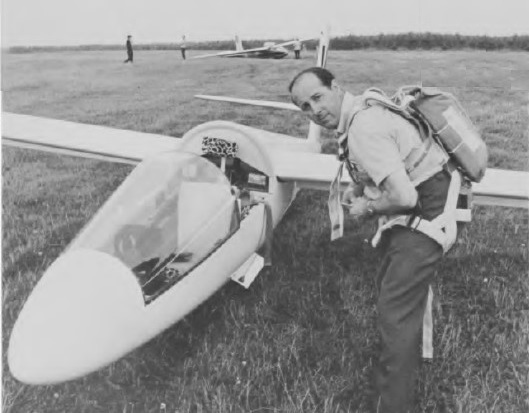 The first of two Slingsby-built HP-14s was completed and flown in May 1967, but the type was redesigned by Slingsby's to suit British conditions and airworthiness requirements, the revised version being known as the HP-14C. 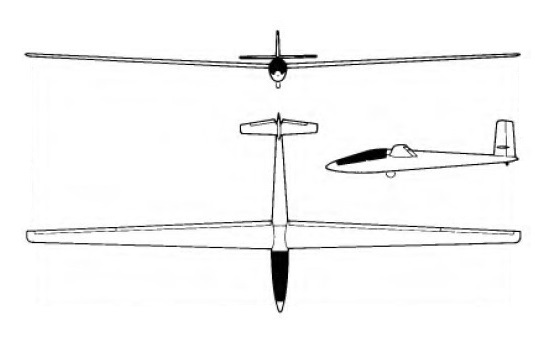 The V-tail was replaced by a conventional fin and rudder with a fairly low-set all-moving tailplane, the wing span was increased to 18m (59ft 0.5in) and the cantilever shoulder wings moved back 6in to give a wider cg range and a roomier cockpit, the structure was redesigned to meet ARB requirements and a tail braking parachute was fitted. The original rack-and-pinion flap operating mechanism was replaced by a pneumatic system with two jacks to lower the flaps to 90°, when they serve as air brakes; on the US-built HP-14s the flaps could be hydraulically operated if the customer desired. The HP14C adopted a rechargeable pneumatic system to ease aerodynamic operating loads at high speed. The HP-14C prototype first flew on 11 April 1968 and the three HP-14Cs were built by Slingsby, two for the British team at the 1968 World Championships in Poland, and one for the Spanish team, but these were all that could be built before the firm's main factory area was destroyed by fire on 18 November 1968. Five more under construction were not completed due to loss of jigs in the fire, and were later stored, but six HP-14C kits were supplied to Australia and one to Finland, one more being built from a kit by W. J. Provins of Scarborough. 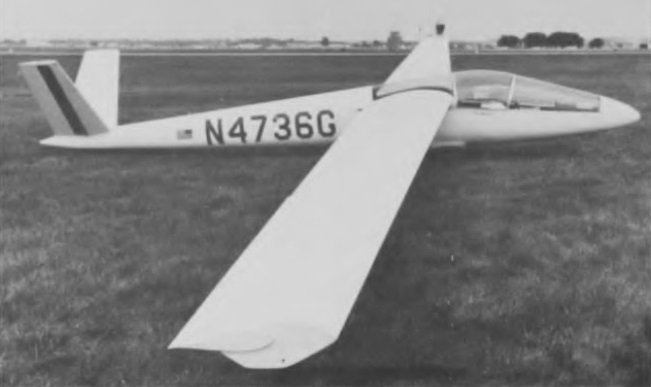 Another HP-14 built by Southdown Aero Services Ltd of Lasham had a V-tail of 50% greater span than the American version, and was later sold to the USA as N8838, where it was converted into an HP-14T with a T-tail. The HP-14 was produced in kit form by Bryan Aircraft Inc of Bryan, Ohio. As with many homebuilts, a number of builders have made design changes to their ships. In some cases these have been substantial. Andre Krutchkoff built his SHP-1 with his own design of fuselage with T-tail. Paul Bikle produced a modified HP14 (the T-6) with a 17.37 m./ 57 ft. span wing and control system modifications. Otto Zauner constructed an 18 m. model (called the Zauner OZ- 4) which has been modified substantially to have tip extensions with winglets to give a span of 19.2 m. / 63 ft, and a gross weight of 386 kg./ 850 lb.